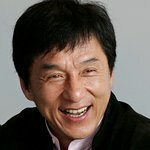 Action star Jackie Chan has been in New Mexico lately filming his latest film, The Spy Next Door. But he took time off last week to do some charity work back in China. The star flew to Hong Kong last weekend to launch a new Hermes scarf, the sales of which will raise money for the Jackie Chan Charitable Foundation. The idea for the scarf first came when Chan was making Rush Hour 3 in Paris and met the CEO of Hermes. Following the launch he visited Guangzhou and Beijing in China to perform two charity shows and raise money for victims of the Sichuan earthquake. After a series of press conferences and the filming of a commercial, Chan jumped back on a plane to America to continue filming his new movie.